Christmas is two days away, and in today’s chatty video, I wrap up many of the loose ends from past videos, and let you know what I’ve been up to during the month of December. Seek out the arts inspiration including my review of the new Amelie musical, what it was like to take my daughters to the Nutcracker ballet for the first time, and Diavolo dance company’s suspenseful modern dance masterpiece, Trajectoire. A nice gift idea for men (or anyone, for that matter!) My father loved the Nixplay digital photo frame I gave him for his 70th birthday. I’m sorry I didn’t mention this sooner. But it’s worth mentioning now so you can put it on gift lists for the future. My postnatal hair loss. I've been wanting to do an update on this for a while! I hope you enjoy this final video of 2016. It’s been another wonderful year and I thank you so much for coming along with me and being a part of The Daily Connoisseur. To all of you who have left comments, or emailed me through my author website, even though I have not responded to you individually, I have ready every single message and appreciate every one. Thank you! 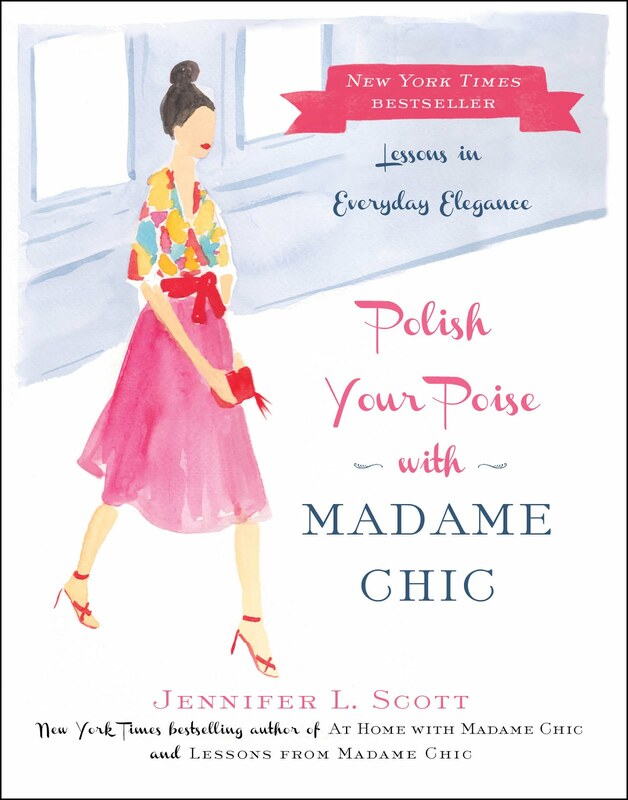 Life with Dee includes The Madame Chic Collection in her holiday gift guide for this year. I personally (just myself) haven't made anything specific for my family on Christmas morning, but one time a few years ago my grandma did fried ham slices and homemade cinnamon rolls. They were just right and everyone enjoyed them thoroughly! Yum! Have a very joyful Christmas!!! Hi Miss L., my grandmother used to make fried ham and cinnamon rolls for Christmas too. What great memories! Merry Christmas to all and a very happy new year! I will be taking my annual break from the blog, but I really look forward to seeing you in 2017, and sharing another year of The Daily Connoisseur with you! In the meantime, please stay in touch with me over social media (links below). See you there! 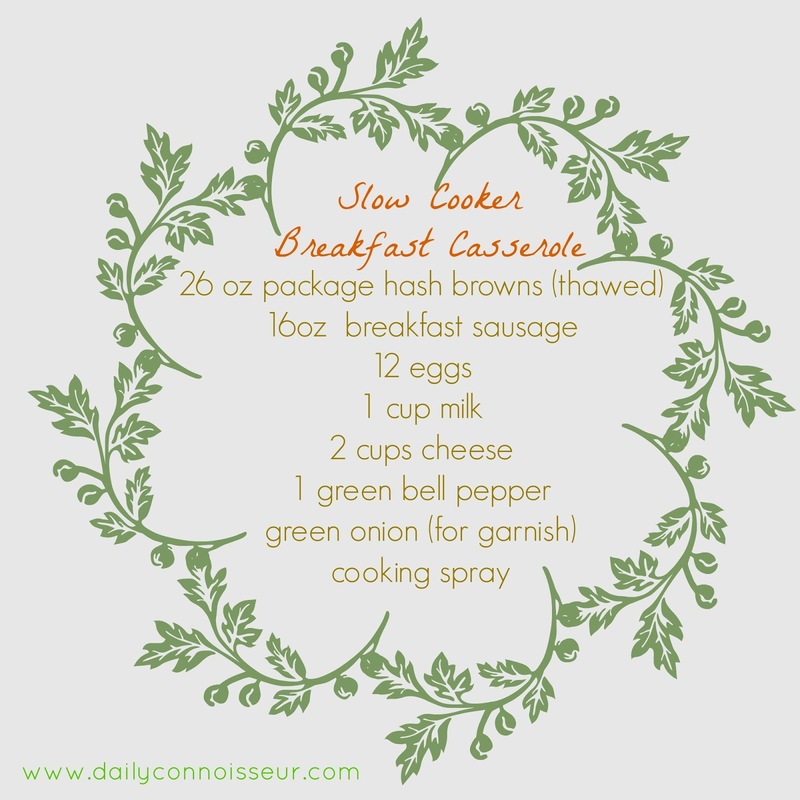 Today, I'm sharing my overnight slow cooker breakfast casserole with you. I mention this in my Planning for Christmas blogpost. 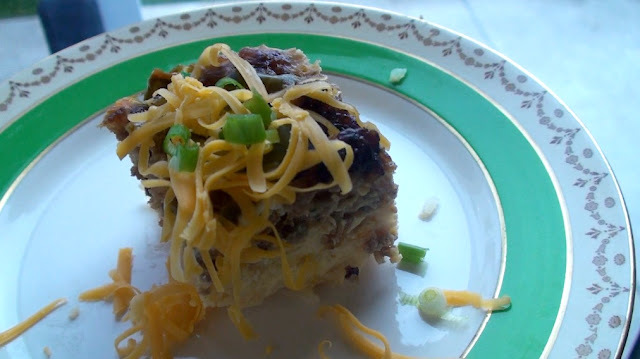 This casserole is very easy to assemble. You put it all together in the evening and let it cook overnight in the slow cooker. When you wake up, the entire house smells so delicious, and you have a hot meal ready to feed a crowd. I like to make this on Christmas eve, Easter eve, or any time I have a house full of guests. Start by spraying your slow cooker with nonstick oil. Or you can use slow cooker liners, which completely eliminate any cleanup mess. Place the thawed hash brown potatoes at the bottom of the slow cooker. Cook and drain your breakfast sausage and layer it on top of the potatoes. Place the chopped green pepper and cheese on top next. Finally, whisk together all dozen eggs with one cup of milk and salt and pepper to taste. Pour the egg mixture over everything. Place the lid on your slow cooker, and cook on low for 8 hours. When your casserole is finished cooking, your slow cooker will automatically switch to "warm" mode and keep it warm for a number of hours. I like to serve mine with extra shredded cheese, chopped green onions and hot sauce! Please watch today's video to see the recipe being made. Many people have asked which slow cooker I have. I use an All Clad slow cooker that was a wedding gift. Because I received it over ten years ago, my exact variety is no longer available. All Clad does have other slow cookers on the market like this one. If you are on a tight budget, this slow cooker from Hamilton Beach was chosen as Amazon's favorite and is only $14.99. If you try it, let us know how you like it! I would be interested to know. Let me know what art you are supporting in the new year by using the hashtag #seekoutthearts on social media! PLL writes: For the past few years I host a family Christmas brunch. Part of my family live out of town and will be staying with me a couple of nights. To make them feel comfortable and welcome, I will freshen up my guest room in much the same way that you do in your video. And keeping in the spirit of the season, I will add needlepoint Christmas pillows to the bed and in the guest bathroom a scented pine candle and a basket with Christmas hand towels will welcome them. Dear PLL, Your guest bedroom preparation is so thoughtful. The scents of the season and holiday decorations will surely welcome your guests and make them get into the spirit of Christmas! Thank you for sharing this video. I have purchased all of your books and have enjoyed them all. Thank you for writing them. I'm wondering what inspired you to create a You Tube channel. Did the channel come after or before you published your books. Hi Zulema, Thank you! I started my YouTube channel a few months before I self-published my first book. I was excited to talk about it with readers, so I created my channel. Back then, I never imagined how many readers I would be connecting with! It's been amazing to speak to people all around the world. I love having a YouTube channel and am so glad I started one. I hope to record a Christmas chat video for you before the end of the week. Please look out for it. In the meantime, I hope you enjoy this recipe. Let me know in the comment section what you make for your family on Christmas morning. Your comment could be chosen as comment of the week on the blog! My aunt and uncle came to stay the night with us. They are moving out of their house of 37 years and relocating to Southern California! We are so excited to be closer to them. In this week's video, come along with me as I get the guest bedroom ready for them. 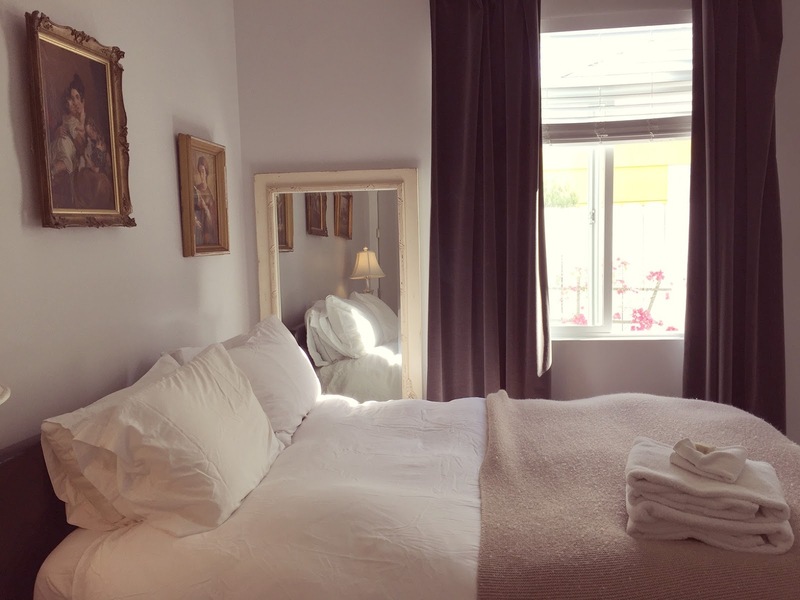 You'll also get an updated guest bedroom tour. Although we haven't bought anything new, we've changed it all around. I like this arrangement the best. I hope you will enjoy this week's video. The music in the video is Summer Waltz. Copyright free music from Epidemic Sounds. The Madame Chic Collection makes the perfect gift! Order yours in time for the holidays from Amazon or Barnes & Noble. I do agree, females are much easier to buy for than males! I have two boys (ages 10 and 11) and here's a good book suggestion for boys on the subject of etiquette. My 11 year old son actually read and enjoyed this book, which speaks volumes: 50 Things Every Young Gentleman Should Know by John Bridges. He told me he found the handshake chapter and how to accept a compliment most helpful (; It's modern and "readable" for a young boy in the pre-teen/teen years. 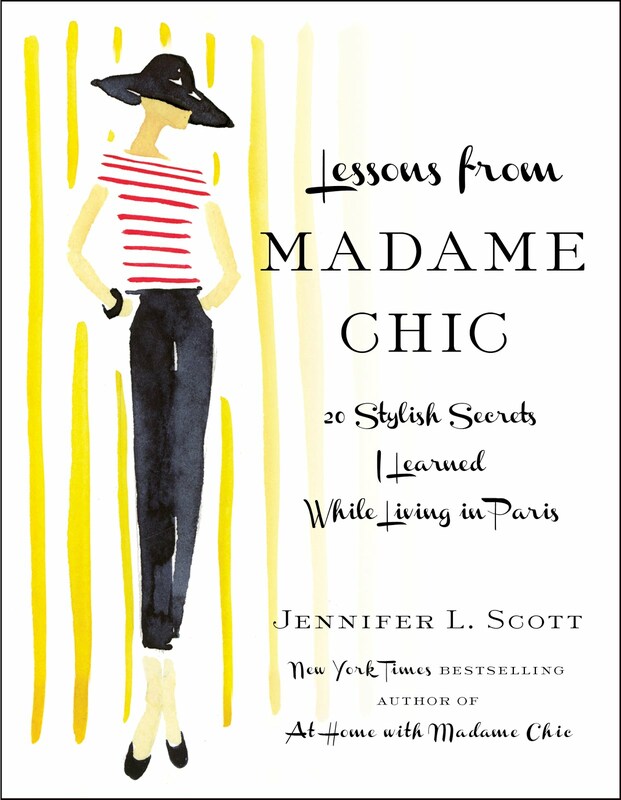 I love the Madame Chic series and was looking for something similar to pass along to my sons. Maybe someday as your little guy grows up you will come up with a Mr. Chic series for young boys..hint. hint. 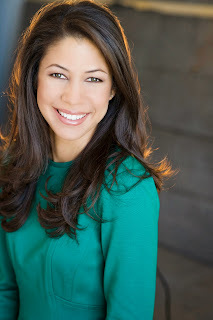 Happy Holidays Jennifer and thanks for another year of providing your readers with inspiration. Hi Rain, I love scheduling the little things! It's freeing up my schedule even more this year and I've even had time to play the piano and read my Victoria and English Home magazines. Both of those activities are rare these days for me!. Hi Dianne, My father had his 70th birthday last week and we got him a digital photo frame. He absolutely loves it! I would have added it in my gift guide but the timing was off. I think it makes a great gift for a man. With the Nixplay app, family and friends can easily send pictures that instantly upload to the frame. Very cool! This week I would love to know... are you having guests stay with you over the holidays? What do you like to do to get their room ready? Let me know and your comment could be chosen as comment of the week on the blog! If you have a question to submit, I might answer it in a question of the week, or I might include it in an upcoming Q&A video. It's time for my annual holiday gift guide. I'm really excited about my choices this year! Let's dive right into it. 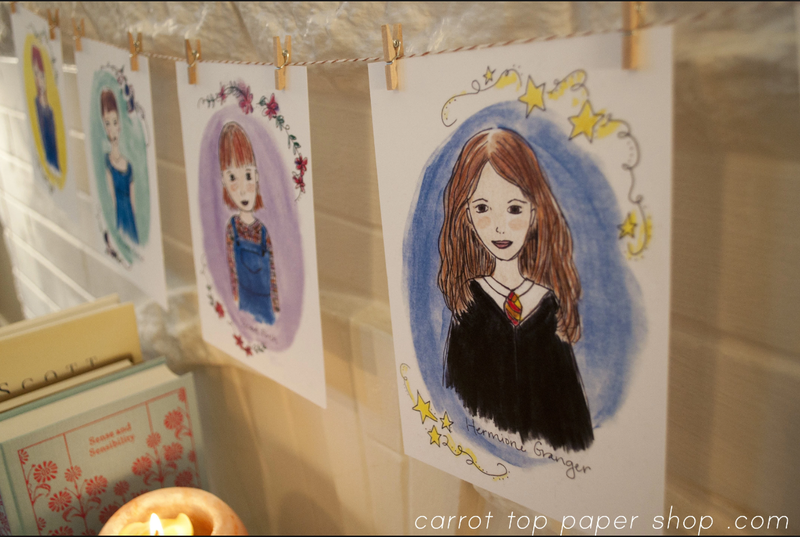 Jenny Williams, founder of Carrot Top Paper Shop, is a talented artist with a brilliant idea. She creates portraits of literary heroines. What a wonderful gift to inspire young girls. 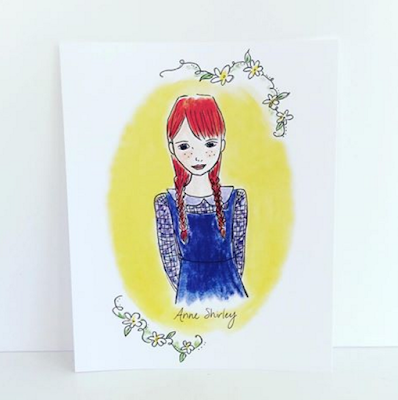 With so many dubious role models out there today, gifting a young girl with a portrait or quote from Anne of Green Gables can give her something beautiful to look up to. I adore Jenny's work! She is offering a 25% off discount to all readers of The Daily Connoisseur. Simply use the code, MADAMECHIC at checkout. This code is good through December 20th, 2016. Thank you, Jenny! Lillian Vernon personalized rolling luggage for kids. My daughters really love to prepare for a trip (gosh, I don't know where they get that from!). They get really detailed about how they pack, so I just know they are going to adore these personalized suitcases with their names on them. 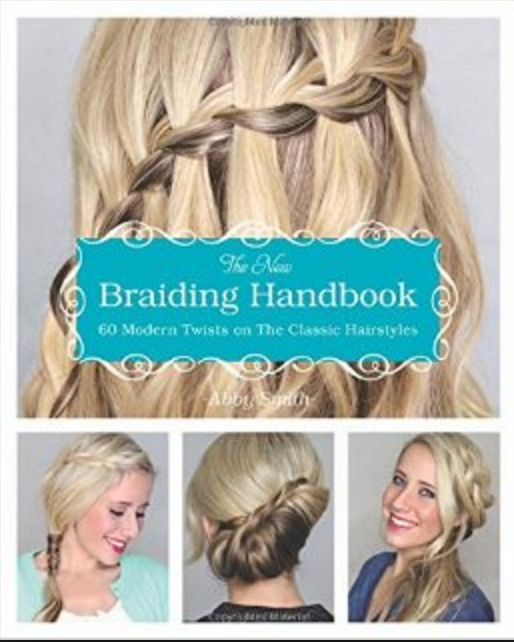 The above picture shows various styles from their website. Chatbooks is a new app that I am loving! You can create photo albums from your smartphone. 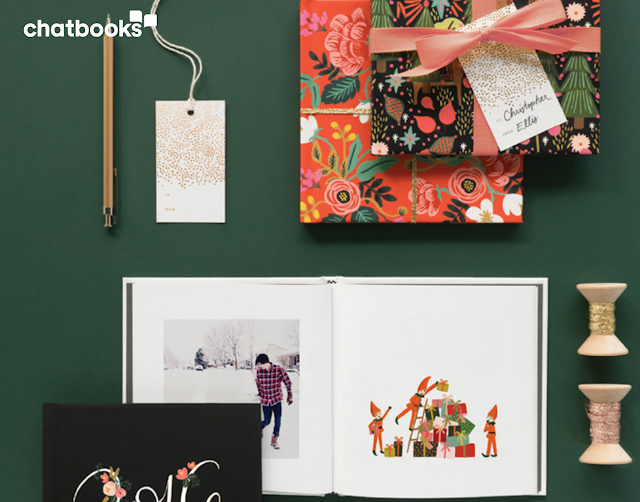 You can either create a custom album (which would make a great gift, especially for family far away), or create a series from your Facebook or Instagram pictures, or from the "Favorites" on your iPhone. Click this link to get your first book for free. I recently started the "favorites" series where Chatbooks send me an album every time my phone accumulates 60 favorites. I received all 8 volumes of my favorites yesterday and I love them. I suggest getting the hardbound books, they seem more durable than the soft cover (which I have ordered in the past). 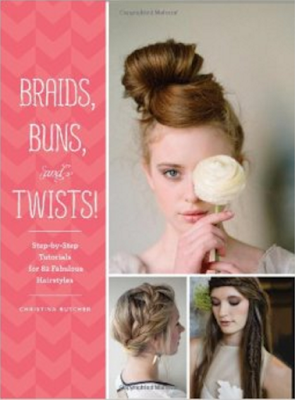 Buns, Braids and Twists by Christina Butcher and The New Braiding Handbook by Abby Smith. These books make fun and interesting presents. It's fun to try the hairstyles on yourself and others. 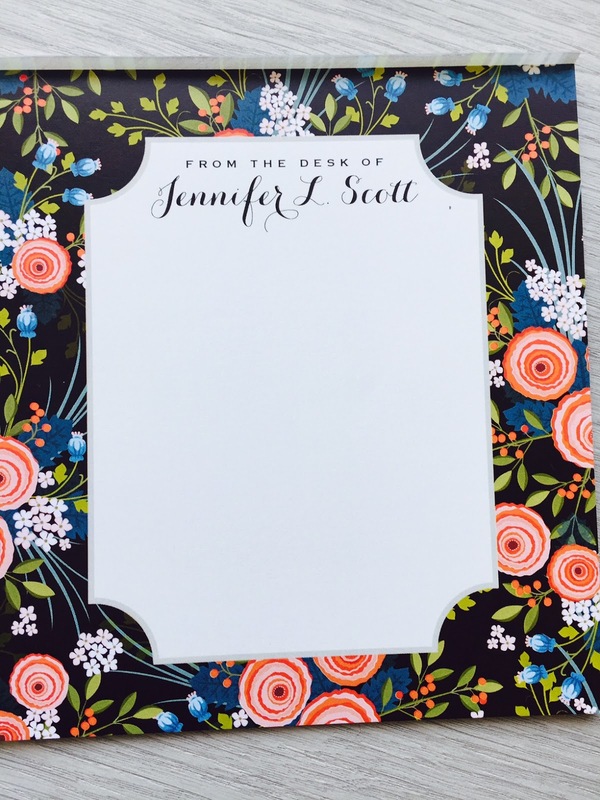 Personalized stationery makes a thoughtful gift. It doesn't have to be the fancy kind, a simple notepad can be very appreciated. I made mine on Zazzle. My gift guide could not be complete without mentioning The Madame Chic Collection. It truly makes the perfect gift! 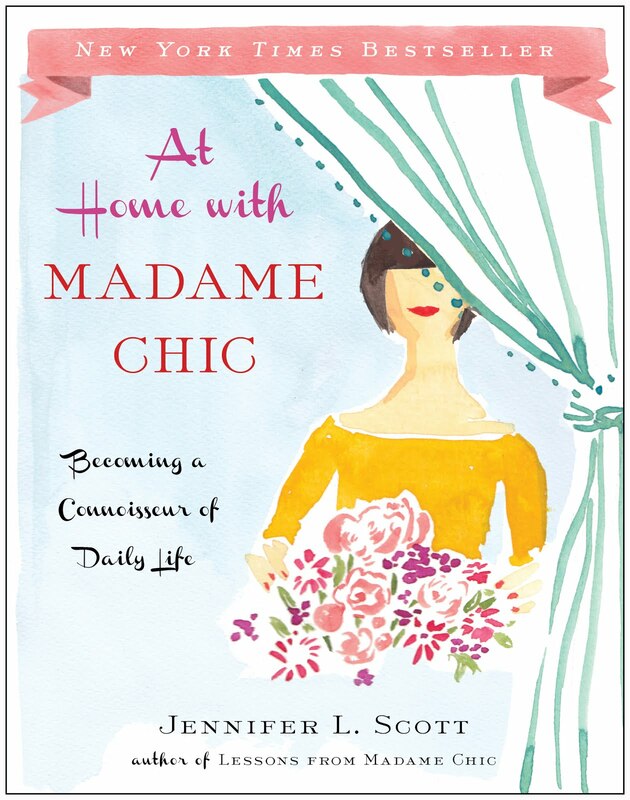 If you have loved reading the Madame Chic books and know someone who would love them too, this is an affordable and attractive way to buy all three. Buy it on Amazon or Barnes & Noble. I do hope you check out today's video for more on all of these gift ideas. Ballerina, Kathryn Morgan, features The Madame Chic Collection in her annual holiday gift guide video. Thank you, Kathryn! If you missed my appearance on Nippon TV's THE MOST USEFUL SCHOOL IN THE WORLD, you can see it here. I really liked this planning video. I think scheduling minor activities, like baking or going to the movies, would be helpful during summer breaks too, so I wouldn't lose all my leisure time binge watching on Netflix. Also, My aunt just bought tickets for the nutcracker for us! I'm so happy that I wanted to share it with you. Many great solo dancers from around the globe will perform, including a principal dancer from the Royal Ballet in London, who, like me, is Brazilian. Thank you, Isabela! Yes, I find that planning for all holidays and breaks in a similar manner to what I showed in Monday's post makes for a fun and meaningful time. Have a wonderful time at the Nutcracker! Jennifer, seeing this list brought back so many memories of when my boys were little. I especially loved the movie night. We had a Friday night movie night too! Just like when I was little, Sunday night seemed to be the T.V. night with homemade popcorn or black cows and watched the Walt Disney Show and the F.B.I. These shows date me but such happy times. Hi Laura, movie night means so much to my children. They look forward to it every week! There's something about the routine and anticipation of it. I loved hearing about your movie nights when your boys were younger. Thanks for sharing! Have a wonderful weekend, everyone. Let me know what your favorite gifts are this year. I would also love to hear a memory of your favorite gift as a child. Remember, your comment could be chosen as comment of the week on the blog! In today's video, I show you how I plan for the Christmas season. After many years of hectic Christmases, I have found that planning and organizing as much as I can makes for a less stressful season and allows me to accomplish much more. My process is two-fold. First I make a list of everything I need to do and would like to accomplish, including activities with the children. Then I input it into my calendar, everything from the smallest activities (like making hot cocoa), to the biggest ones (like seeing the Nutcracker ballet). Scheduling the calendar like this gives us all something to look forward to and provides structure. It also helps me to prioritize family time because spending quality time together can often get pushed down the list amidst all of the business. I hope that you enjoy this week's video! If you would like to see more planning videos from me in the future, please be sure to let me know. Free holiday printables for children from Activity Village. This is a great resource for fun crafts and activities for your kids this holiday season. My video and blogpost on how to make your own citrus ornaments. These are inexpensive, natural and so fun to make! Thank you to everyone who tuned in to Nippon TV's The Most Useful School in the World this past Saturday! If you missed the show, you can watch it here. The Madame Chic Collection is the perfect gift! Order yours in time for the holidays. Yvanna, thank you so much for your kind email. I love meeting people who have found me through my TEDx talk. I'm so happy to hear your closet has been transformed! I'm excited for you to go on this journey. Be sure to check back this Thursday for my annual Daily Connoisseur Gift Guide.